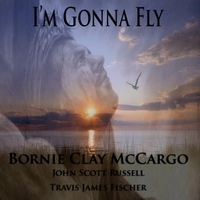 BORNIE McCARGO has been singing since he was a child! Bornie has had classical vocal training,and has studied music for the last few years.Bornie brings a mix of r&b,soul,gospel,blues,and a hip-hop mix! Bornie style has different musical blends! Bornie has been influenced by Michael Jackson,Stevie Wonder,Stevie Ray Vaughn,Jon Gibson, Sam Cooke,Mahalia Jackson.Bornie has sung in churches,concerts,and at outdoor social events!